Charlotte Crosby‘s been taking some time away from her busy schedule and the increasingly colder weather of Britain by jetting off on a lovely girls holiday with Sophie Kasaei. It’s been days of sun-lounging, cocktails, and all-round holiday joy so far. 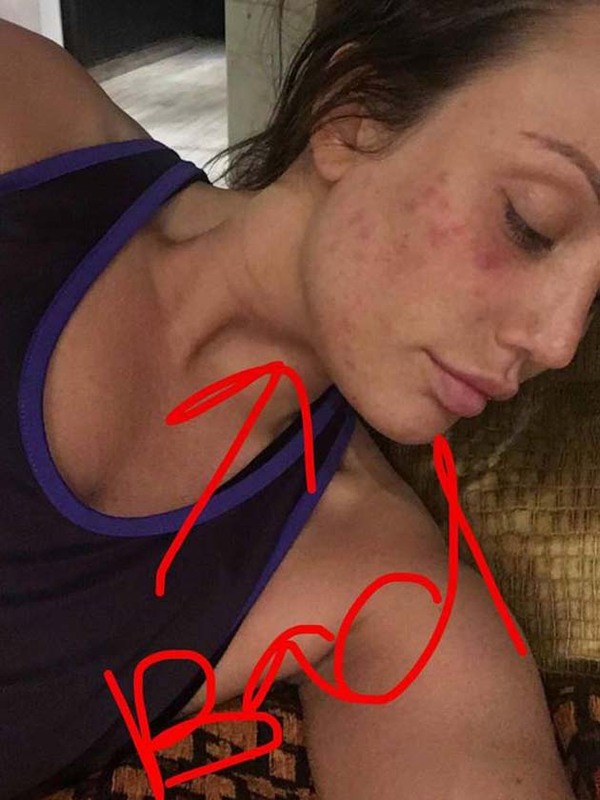 However, the former Geordie Shore babe has been hit with a mystery face rash – and she’s shared it in all its close-up, gruesome glory with her fans. Charlotte, 26, took to the app on Monday evening (17th October) to express her upset in seeing a red breakout on her cheeks and forehead, especially since she has clear skin normally. ‘It’s upsetting me! See the lumps, eeew!’ Poor thing! ‘Starting to get really worried about me face!’ she said. More: Charlotte Crosby’s moved into her new home – and it looks stunning! 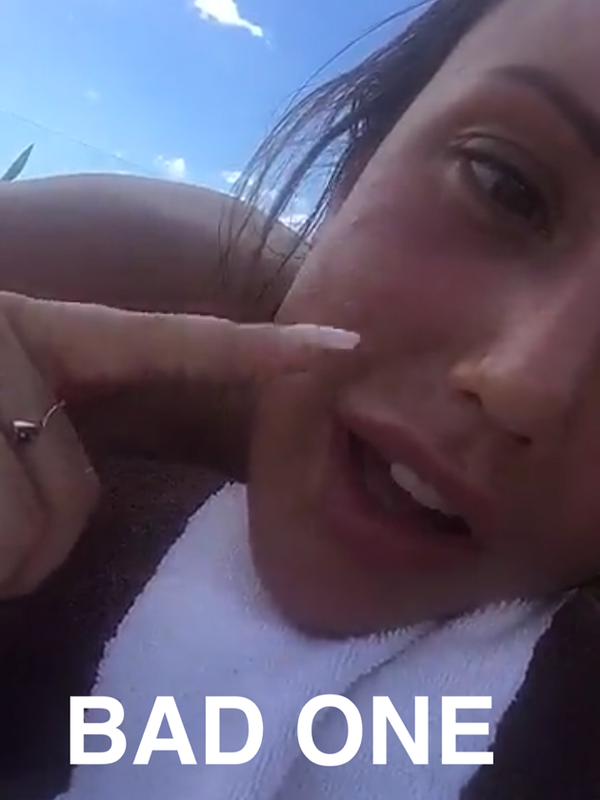 However, Charlotte’s not one to let a pesky skin rash get in the way of a good time, and ended up hitting the tiles wearing no make-up – presumably to let her pores get more fresh air. And she looks absolutely stunning! That’s our girl!